Made in a bold printed sensuous suede fabric, this Alyce style 60508 is truly unique. 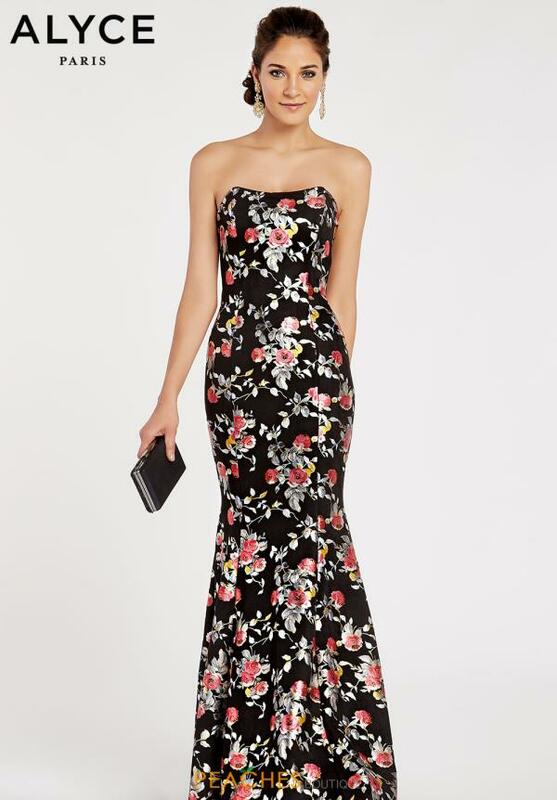 This trend setting look showcases a strapless neckline that is followed with a straight across back. Its fitted silhouette will hug your curves in all the right places. Finished off with an elegant sweep train in the back.